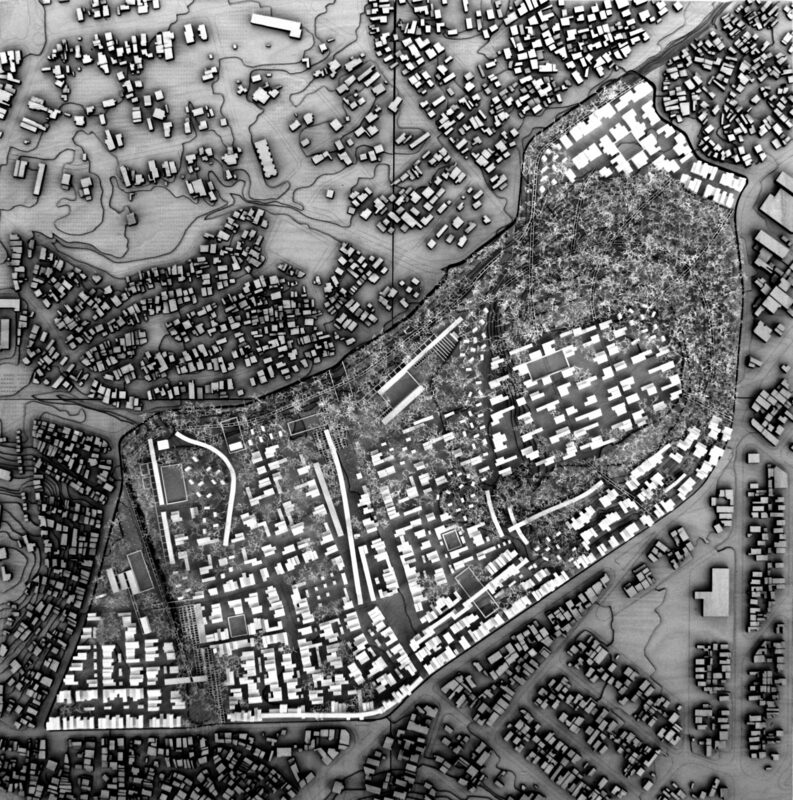 Fani Kostourou is an architect, urban designer and academic. Before the lecture in the framework of CANactions Public Program, she discussed her experience and impressions of studying and work in various educational institutions in many countries around the world as well as relevant issues in the today's architecture discourse. CANactions: You work as an architect, urban designer and researcher. These are three entirely different fields of work, with various responsibilities. Which one is of greatest importance to you and why? Fani: I don't see them as entirely different. Research is an integral part of the design process whether referring to buildings, cities, or regions. It informs critical thinking and decision making, and provides with tools and ideas to think-of and think-with. Being so young you have absolutely impressive CV and you took part in so many various projects all over the world. How did you manage to achieve and coordinate all of this? I think it is easier for young and emerging professionals to gain visibility nowadays in a world of globalised media and advanced digital literacy. At the same time it is harder to create something lastingly impactful, as young architecture becomes more temporary, modest, tactical, and interdisciplinary. Against this context, one needs to be willing to work hard, adapt to changes, exploit the opportunities, and be open to work with and learn from others. A 'pinch' of luck might also help. 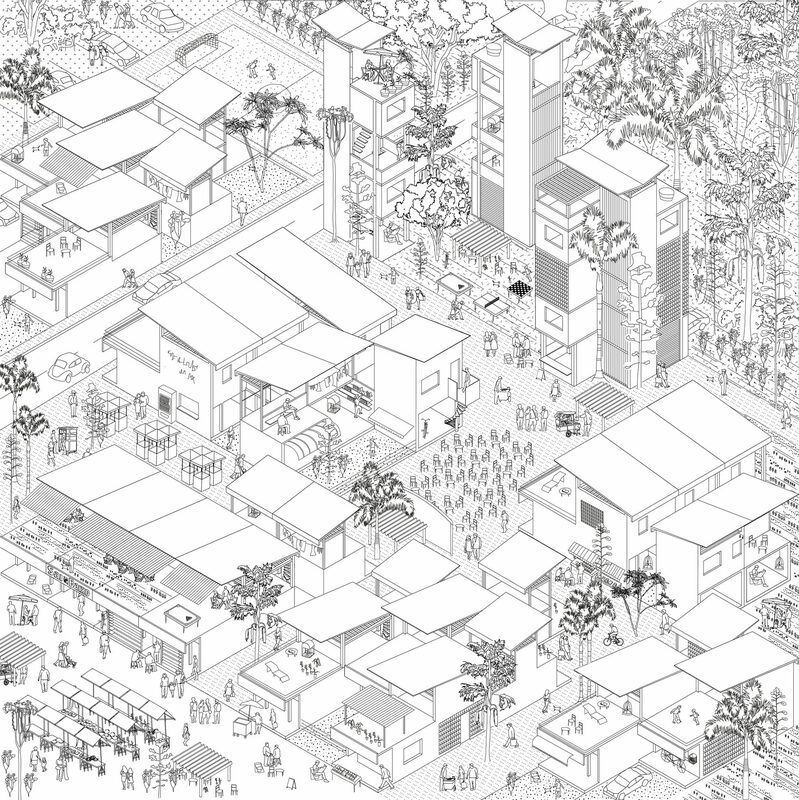 Proposal for a new settlement in the suburbs of Rio de Janeiro for low-income population groups following the framework of Brazil`s federal mass housing program `Minha Casa, Minha Vida. In collaboration with Valeria Erasmo, Apostolis Tsikas and Gerhard Ungersböck. You have been trained and worked in different countries. What is the difference between the approaches to architectural education there? Well, different countries promote different approaches to architecture and architectural education. I can only speak for the four I have seen, namely Greece, Switzerland, the UK and US. For example, I have seen that students graduating from architectural schools in Greece (NTUA in my case) have a very solid foundation in a wide range of design fields. Then, schools in Switzerland, like ETHZ, really focus on the engineering aspect of architecture and teach you high-quality architecture of fine construction details and materials; they also have an astonishing record on career advancement. Yet both approaches may still appear quite conservative in comparison to the interdisciplinary approaches of the UK and US. In Boston for example where I was for a couple of months, I saw top schools like MIT and Harvard really collaborating and working together instead of competing. I also understood that the curricula were open and flexible instead of fixed and pre-defined. Not to mention that after six years in London (and especially at The Bartlett), my conceptual horizons on education and design have greatly expanded. Most importantly, you are encouraged to carve your own way and develop your own skills. Of course, all this is based on my personal and very limited experience. Besides, what one gains from an educational environment is subject to many subjective parameters, including one's own interests, self-awareness, and character. What is worth to apply in Ukraine? Especially, the diversity, open-mindedness, and interdisciplinarity of the UK could be a 'nice touch' within the traditional educational approach in Ukraine. What are the important skills for PhD students (or candidates) to facilitate their success in research? Well, a PhD is much more than mere research and writing. It requires a lot of devotion, mental toughness, discipline, determination, and passion for what you do. And it's a journey that is challenging not just intellectually but emotionally. You learn a lot about yourself in this process and you grow in ways you weren't expecting. These are important qualities that benefit one's path in trying to become qualified independent researcher. And while doing a PhD is a lonely process, a good relationship with your supervisor/advisor is essential for its success. What issues become more and more relevant in the today's architecture discourse? I think it is now evident that things are much more complex than what architects imagined them to be in the past, and dealing with complexity only through spatial approaches can be a dangerously reductionist approach. Particularly, the advancements of information technologies have given much greater power to the individual –not necessarily the architect– and it is no surprise that today there is an increasing interest on bottom-up systems, emergent morphologies, and global actions and organisations. However, we are still struggling to fully grasp all the bewildering patterns and processes that originate from the bottom-up, not to mention, predict and anticipate their change in the future. Who has been the biggest influence on your work to date? I'm very fortunate to have met some great people along the way – professors, colleagues, students, and dear friends – without whom I would not be the person I am today and to whom I feel grateful. I feel that a special mention shall go to Leonard Streich who has been a kind, brilliant, and supportive mentor for me during my time at the ETHZ and afterward. What would you advice for aspiring architects?